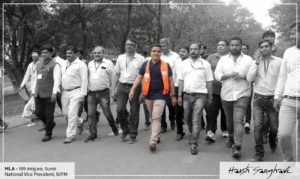 My experience in working in the WarRoom for Harsh Sanghavi (BJP Yuva Morcha National General Secretary and the youngest MLA in Gujarat) for Majura Constituency, Surat help me to observe the 2017 Gujarat Assembly Election closely. From my experience, I will say that the Gujarat elections, a must win for the Ruling Party.It seems to be the toughest the party had faced after Narendra Modi came into power. Post-2014, BJP has successfully contested most Assembly elections on the plank of Vikas and formed governments in various states. BJP made a tremendous victory in UP and completely dominated the opposition Party. There is a saying that ‘the road to Delhi Starts from UP’. The party which wins majority seats in UP has a strong chance of coming to power in the Centre. In states like Goa and Manipur BJP came second in assembly elections, but with the help of local parties, they managed to form governments these states as well. 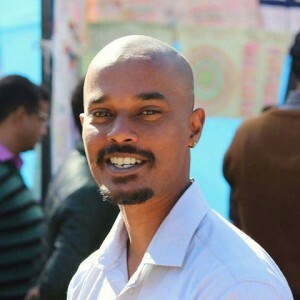 It is interesting to note that under the leadership of Narendra Modi and Amith Shah, the party has been breaking election records and becoming increasingly more powerful. Even in a state like Kerala, the BJP managed to open their account by winning their first assembly seats after 60 years. This was also accompanied by a significant increase in vote share. However, the BJP juggernaut is gunning for something more – their war cry of a Congress Mukt Bharat. But Ahmed Patel’s victory in the Rajya Sabha election and the subsequent Congress win in Punjab assembly elections once again breathed life into the Congress. Modi’s demonetization move, which sent shock waves across the nation was followed within seven 7 months by GST, India’s biggest tax reform that aims to replace over 20 federal and state levies and unify India into one of the world’s biggest common markets. The big question has been ‘Will People Support these moves? ‘. The best way to know this is through elections. The two elections in Himachal Pradesh, where Congress was the ruling party and Gujarat, where BJP has got independent majorities in the past five years can be seen as a verdict on these moves. When BJP began the campaign in Gujarat, it was not expecting anything less than winning 150+ Assembly seats out of 182.However, the road to 150+ was not easy for them. Demonetization and GST had affected the textile and diamond industries based in Surat. There were street protests against GST. The BJP also suffered a setback in the 2015 local body elections due to the Patel agitation. Thakor, Dalits, and Patel collectively make up 40% of the state population. In 2012, the Congress banked on its traditional KHAM arithmetic –Kshatriya, Harijan, Adivasi, and Muslim, while BJP with Patel support emerged victorious. However, this time, the Patel agitation leader Hardik Patel took a clear anti-BJP stand before the election. He also proposed 5 major demands, of Congress, accepted 4 initially. These were: withdrawing police cases including sedition cases against the protesting Patidars, forming a SIT to charge the police and take legal action against guilty cops,35 lakhs compensation to each killed in police action and a government job for the family. Later, the Congress party also accepted the final demand: granting quota to Patidar. Dhoraji is the only assembly constituency in which the Congress has chosen a leader from Hardik Patel’s camp. 17 Patel candidates are in the fray. 2 months before the election some opinion polls predicted as 150+ seats to BJP. However, things changed significantly with Rahul Gandhi’s rising popularity in the state. This is due to clear identification and articulation of ground level problems and discontent. His key emphasis was on unemployment and low produce prices for farmers. Compared to BJP which has a more urban presence, Congress is strong in rural Gujarat. This reflected in Rahul’s election strategy. Before taking on the strongholds of the BJP, he systematically covered rural areas where Congress traditionally enjoys support. Gujarat saw a new Rahul Gandhi, who in every speech expressed his respect for Modi, the son of Gujarat. He clearly avoided making any personal allegations against Modi. His attack on GST as Gabbar Singh Tax hit right on target. However, Mani Shankar Aiyar’s controversial ‘neech’ remark, was akin to Congress scoring a self-goal. Though Rahul was quick to tweet objecting the same and demanding an apology, the damage could only be limited. Addressing a rally in Surat on 7th December, Modi hit back at Aiyar and said dejected Congress functionaries have lost their mental balance and crossed all limits of democracy. He asked “Calling me nichli jaati (lower cast), Is this not an insult to Gujarat? Is it not an insult to India’s Greatest values?”. This issue, along with Rahul’s name in the non-Hindu register at Somnath and Kapil Sibal appearing on the Muslim side for Ayodhya figured prominently in the BJP campaign. Congress is expecting an upper hand in this election with Hardik Patel throwing his weight behind them. Hardik Patel has been able to draw huge crowds. By uniting with him, the Congress hoped to consolidate the anti-BJP vote. BJP had a taste of Patidar fury during a programme held in September 2016 where Amit Shah had to cut short his speech as Patidars barged in shouting slogans and started throwing chairs. In many seats in Surat. it is a direct flight between the Patidars agitation and the BJP. The big question is while associating with Hardik help the Congress get Patidar voters? This could be a crucial deciding factor in Kamrej, Varachha Road,Karanj katargam, Olpad and Surat North seats. In Surat, the majority of the textile traders are from Rajasthan. To bring these traders to their side, tried BJP organizing a public meeting with Chief Minister Vasundhara Raje but it got canceled due to cyclone Okhi. A BJP Yuva Morcha National General Secretary and the sitting MLA from Gujarat said that “Traders were unhappy initially but now they understand the benefit of GST”. The BJP entered the Gujarat campaign on the high of sweeping UP. Through video conferencing and the Narendra Modi app, the Prime Minister is trying to directly connect to the party’s karyakarthas. 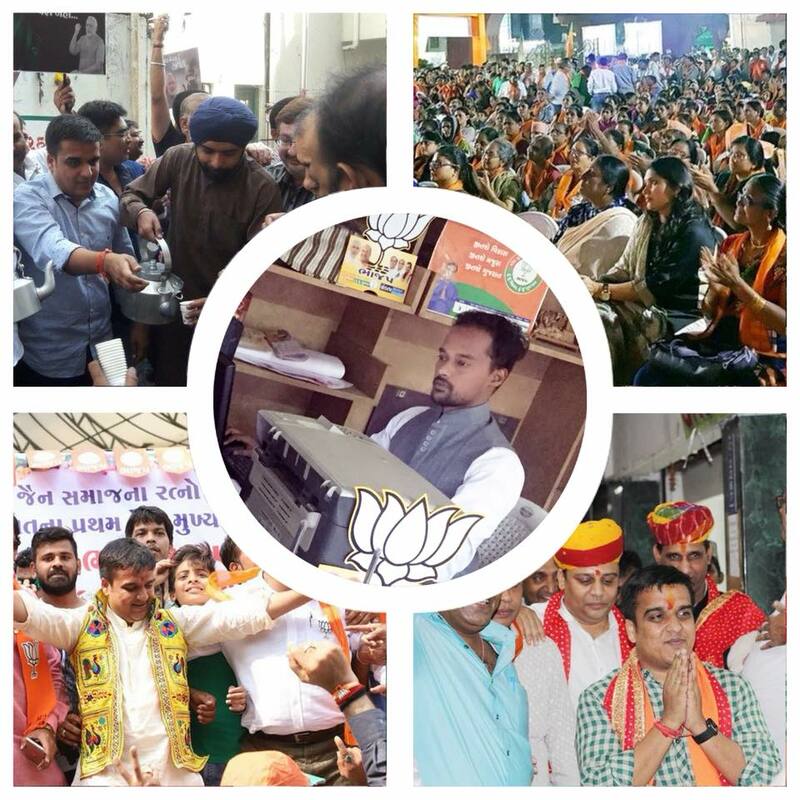 Congress, on the other hand, launched a powerful cyber campaign ‘Vikas Gando Thayo Chhe (Development has gone crazy) which takes a humorous jibe at BJP’s development record. A garba song based on this theme was also released. With the A-Question-A-Day Campaign, Rahul Gandhi has been taking on the Prime Minister in order to corner the ruling BJP in poll-bound Gujarat. The BJP started the second phase of the election campaign by raising allegations against Congress colluding with Pakistan to rig Gujarat polls. Modi alleged that there was a secret meeting between Congress leaders and the retired Pakistan army chief Mr. Arshad Rafiq a day before Mani Shankar Ayiar called him ‘Nichli’. In the end, Modi has covered 28,119 km for the election campaign while Rahul has covered 20,010 Km. Another interesting thing about the Gujarat election is that people speak against the party and local leaders but not against Modi. Ultimately, the Gujarat election is a trail for both the parties. BJP’s Victory will be seen as a vote for their policies and reaffirm that Modi can still draw the crowds. It will take the party closer to their Mission 360+ for 2019 and strengthen their hold over the regional parties who are in alliance with BJP in other states. In 2019 Lok Sabha election, the major challenge BJP will face is the anti-incumbency factor in the 18 states where it is now ruling. There is a possibility that the Lok Sabha seats which BJP may lose in the Hindi Belt will be covered from the south. For that, the upcoming Karnataka assembly election would be very important for the BJP. When it comes to the South, the BJP will face a major challenge from regional parties like Pinarayi Vijayan led CPM in Kerala and DMK in Tamil Nadu. With Sonia Gandhi stepping down as a party president, all eyes are on the newly elected Party President Rahul Gandhi who has to prove his ability to lead. The Gujarat result will give a good start to Rahul Gandhi.We have to wait and see whether Congress, with Rahul Gandhi now as the president, will able to emerge as a strong opposition in 2019 or not. Views represented are those of the author and not the organization.